Britz has partnered with the Tourism Australia Indigenous Tourism Champions Program to bring you the best and most diverse indigenous experiences across Australia. Australia’s indigenous Aboriginal people have the world’s oldest living culture, and numerous language groups and cultures. Discover how the ancient Aboriginal Dreamtime is still alive within the modern Sydney landscape. Read more. Mutawintji Eco Tours operates small group tours to Mutawintji National Park and other areas of cultural and ecological significance. Read more. Witness a spectacular theatrical performance which will take you on a fascinating journey deep into dreamtime legend. Read more. Visit the Daintree Rainforest to enjoy the lush scenery and abundant wildlife. Read more. 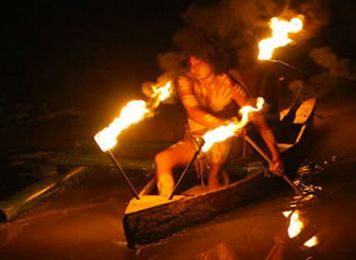 Experience the unique culture of Rainforest Aboriginal people. Read more. Engage with local Aboriginal people, learn basket weaving, dilly bag making and the techniques used in the process. Read more. Uptuyu offer tours tailored to your interests that are really ‘‘Up-tu-yu’ (Up to you). Read more. Featuring some of the most stunning scenery in the Top End, Nitmiluk Gorge winds along 12km of sheer rock. Read more. Enjoy unique and exclusive experiences in restricted-access areas of Kakadu and western Arnhem Land. Read more. As a not-for-profit art & craft organization based at Uluru, Maruku promotes the Aboriginal art space like no other. Read more. See the unique animal and marine life of the remote Cobourg Peninsula. Read more. 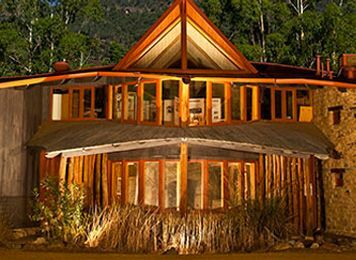 Enjoy evening dinner tours or an extended nine-day, outback adventure. Read more. An opportunity for visitors to experience Wardandi and Bibbulman country through the eyes of the traditional owners. Read more. Discover nique, culturally inspired, four wheel drive adventure tours in the Shark Bay and Monkey Mia region. Read more. 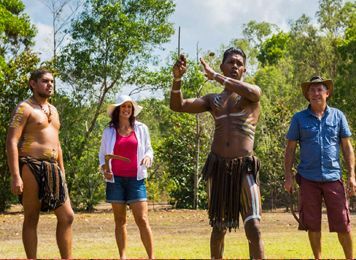 Learn about culture, bush tucker, dig for fresh water and see one of the many Aboriginal Midden sites on the beach, all whilst riding a 400cc quad bike. Read more. Learn about Australia's first peoples, and take part in a wide range of cultural activities. Read more. This Reserve sits inside the crater of a dormant volcano and has a plethora of wildlife to encounter. Read more. Experience a spectacular show featuring dances, stories and the distinctive rhythms of the didgeridoo. Read more.